But it can't be from Dolly Clackett. She gave me an Easter egg! : Know first who you are; and then adorn yourself accordingly. Know first who you are; and then adorn yourself accordingly. Before my friend Mrs Z deactivated her Facebook account (well, as far as they will allow you to deactivate it - it's just a slightly more time-consuming log-out) she had a photo album called 'Ten Years of Dresses' which I spent many happy hours (well maybe not hours) perusing. I've been tidying up the hard drive on my poor wee laptop today and moving things over to my external hard drive and have felt inspired to do the same. 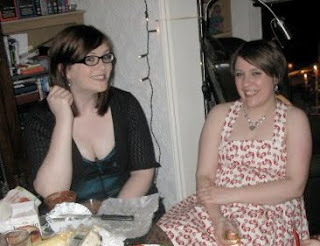 It doesn't cover ten years, but here are a few of my favourite dresses. Click on the photo to get a closer look. There is lots of clutter in the background - M took this photo so I could see what the dress looks like on! I bought this one on a whim in the sale. 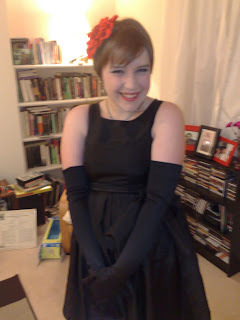 I was never that keen on strapless dresses until last summer when I bought a few that I loved, and this is one of them. The boning pokes out in an awkward way so wearing it is not the most comfortable experience, but I love it anyway. La Caletta dress. 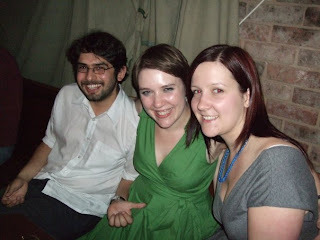 This is another photo to see what the dress looks like on - it had been a while since I had worn it! 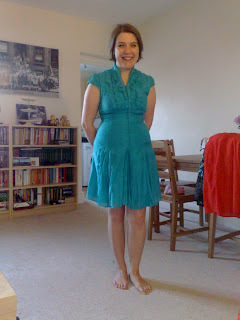 I love the colour of this dress but it is very small fitting - a size bigger than I usually buy and still very snug. It's made of a cotton-silk mix so it is very light and comfortable to wear. Monkey pinafore. This poor wee dress - this was the first time I had worn this dress, and shortly after the photo was taken someone spilled red wine on me. The stain came out (although because I know it's there, I can still sort of see it, but it would be invisible to anyone else) but one of my least favourite memories is feeling very hung over and having to scrub the dress with vinegar to get the stain out! The red pattern is little monkeys and the dress is very comfortable and fun to wear. 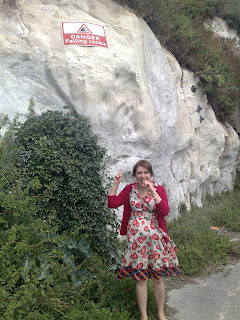 Laura Lees Topshop dress. This is one of my most-loved dresses - I bought it when I was doing my teacher training and it always makes me happy to wear it! 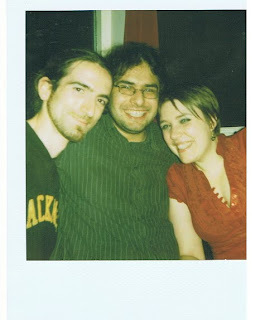 This photo was taken at on Nic's birthday, a few weeks after we started going out. 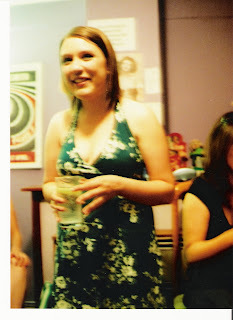 I wore this dress all the time during our first summer together so it has lots of happy memories for me. Rose dress. This is another dress I wear all the time. Although this is a terrible photo of me, the dress is actually very flattering and comfortable. Escala dress. This photo was taken at Mrs Z's christmas party last year. 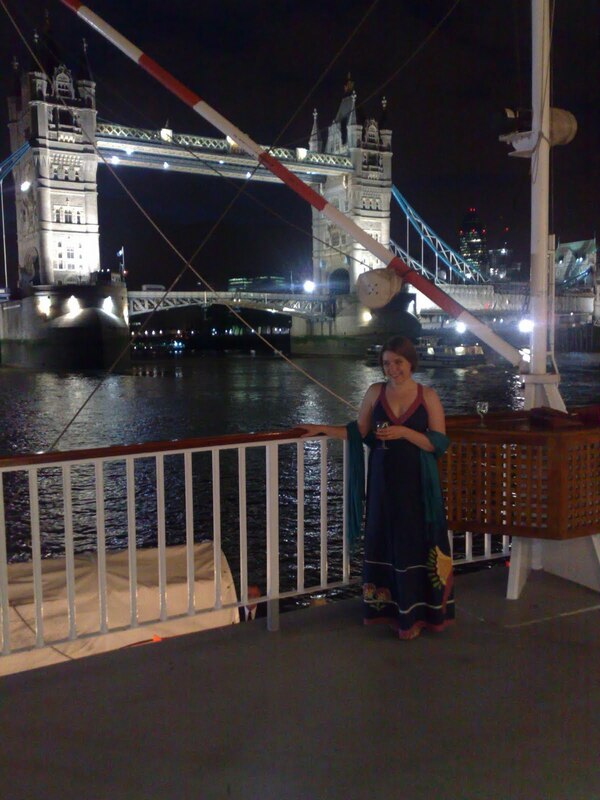 I had bought this lovely dress as a birthday treat for myself - I need to find more occasions to wear it (I might wear it to her christmas party this year too) I haven't got a full length photo of it, unfortunately, as it is very elegant and flattering. I love the bright blue colour and the material feels very heavy and luxurious. I might just take to wearing it around the house! 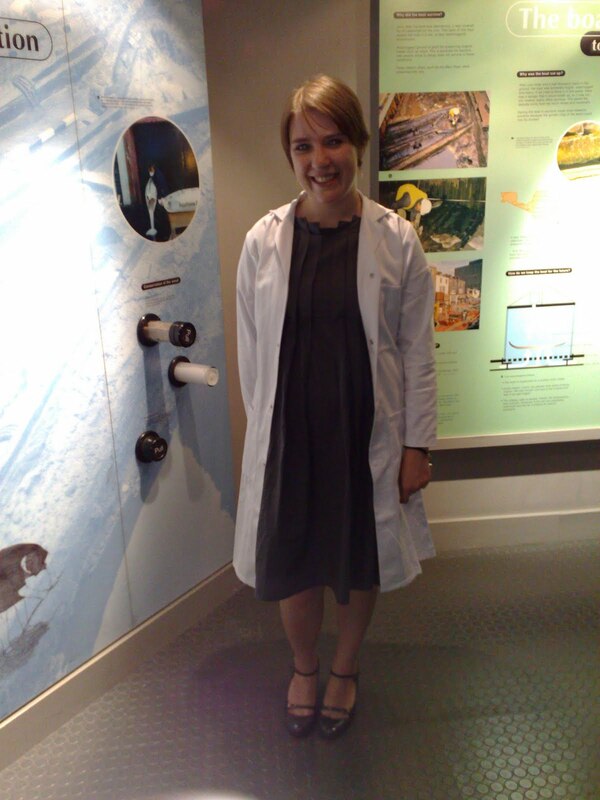 Asturias dress (and lab coat provided by the Dover museum!) This is another one of my most worn dresses, and I also have one in jersey fabric (it's red) I bought this dress after dreaming about it. I realise that makes me sound quite mad, and maybe I am mad - but I had seen the dress in Lilac Rose and thought it was ridiculous because of the massive pockets on the sides, but then dreamed that I tried it on....so I went to try it on, and loved it. I wear this dress all the time, it is very comfortable and flattering and can be dressed up or down as you like. Mauritius dress. My first ever maxi dress! I bought this out of frustration when the shop didn't have the one I wanted in my size (I bought it later) but I think I like this one better. It's very easy to wear - elegant and comfortable, and I love the combination of colours. And Barb Jungr complimented me on it on the Vortex Jazz Cruise. Result! I had always thought short people couldn't wear maxi dresses but I suppose it's a matter of finding the right one. Phase Eight wrap dress. 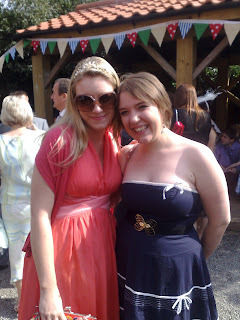 I love this dress, but didn't wear it for ages because one of my aunts asked me if I was pregnant when I was wearing it! The skirt is voluminous and the bow is very big (and, in fairness, I was feeling quite bloated) but all the same, this is a great dress. Reduced in their sale to £35 as well, so good times! Green halter-neck dress. This was my first Fever dress, I bought it in Liberty Blue in Belfast to wear to a wedding. This photo is a bit blurred because my camera wasn't working properly but you can get the idea. The dress is very low cut so it's not really suitable for a summer dress, but it's good for parties, and I have a sentimental attachment to it. Foligno Tunic. 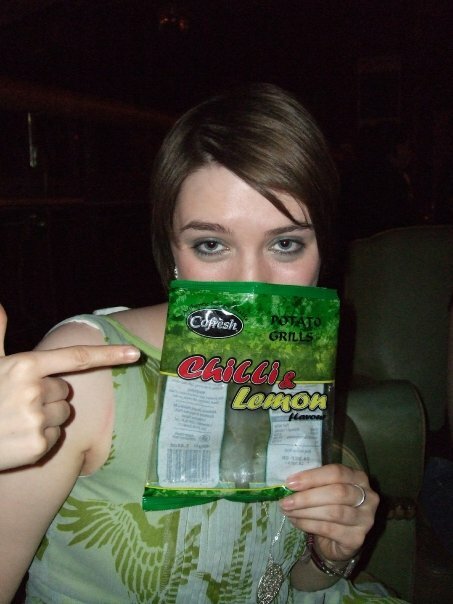 Ignore the crisps - I'm being super classy in this photo! I was lucky to get this dress - a lady was trying on the last one in Lilac Rose, luckily she didn't like it and it was in my size. 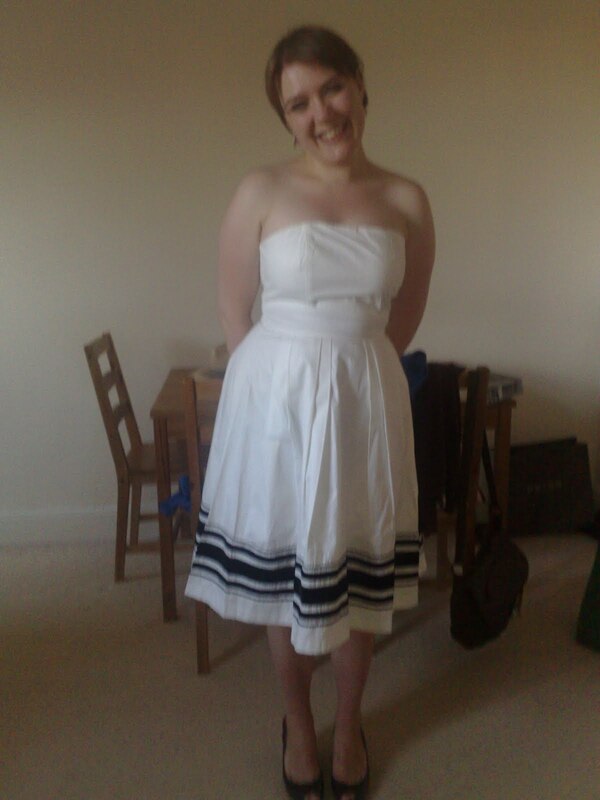 I love the soft pleats on it, I feel a bit like a flapper when I'm wearing it. Rocha John Rocha ruffle dress. 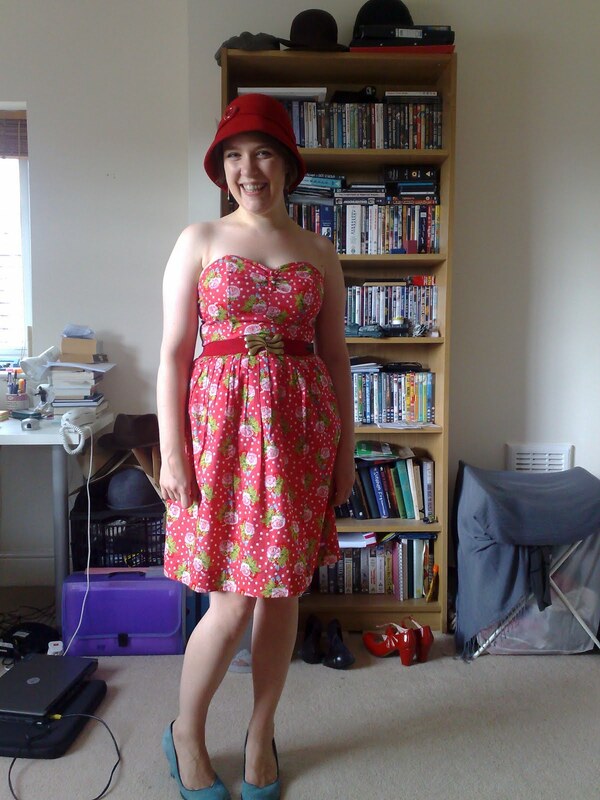 I saw this one in a Dress of the Day post over on The Fashion Police and was able to pick it up on eBay for £7. What a bargain! It's a wee bit longer than I would like, but it's a very festive winter frock. Christina dress. I bought this on a whim in the Fever shop in the summer, as it was in the sale. It didn't have much hanger appeal, but it is so nice on. The heavy cotton and the velvet ribbons make it feel really luxurious as well. This photo doesn't exactly do it justice - Nic was just taking a photo on my phone so I could see what it looks like! I've exhausted myself for now, but I have a wardrobe full of dresses (and am what Nic calls 'dress demented') so there will be more in future!